Adventure with the Mario Bros into a 3D dream world to rescue Princess Peach in Mario and Luigi: Dream Team for Nintendo 3DS. Mario and Luigi: Dream Team is a fun role playing adventure that takes place in the strangest Mario Bros location yet Luigi’s dreams! This toy costs approximately £29.99 (for the latest and best prices make sure you check our retailer list for the Mario and Luigi Dream Team 3DS above). 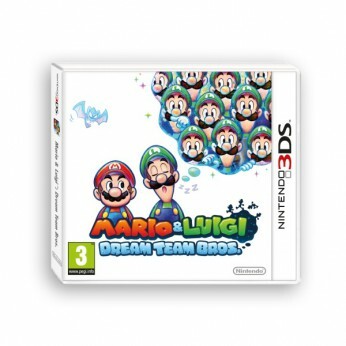 In our review of Mario and Luigi Dream Team 3DS we classed it as being suitable for ages 4 years, 5 years, 6 years, 7 years, 8 years, 9 years, over 10 years, Teenagers but recommend you check the manufacturer specific advice before purchasing.